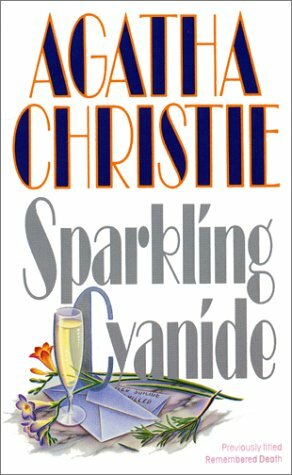 by Agatha Christie | Mystery & Thrillers | This book has not been rated. Sending off to crimson-tide for a relay. Arrived safe and sound in my post box today as part of the "Show me the Cozies" relay. Read and appreciated in around 2009 by PLW. Still to be read by myself. Left on the Book Exchange Shelf on the verandah. Hello and congratulations! You have not only found yourself a good book, but a whole community of booklovers dedicated to sharing books with each other and the world at large. I hope you'll stick around a bit and get to know BookCrossing - maybe even make a journal entry on this book. You may choose to remain anonymous or to join (it's free!) And if you do choose to join, I hope you'll tell them that crimson-tide referred you. Feel free to read and keep this book, or to pass it on to a friend, or even set it free out "in the wild" for someone else to find like you did. If you do choose to join, then you can watch the book as it travels - you'll be alerted by email each time someone makes another journal entry. It's all completely confidential (you're known only by your screen name and no one is ever given your e-mail address), free, and spam-free. I hope you enjoy BookCrossing as much as I do. Happy reading!